MAN Diesel & Turbo has passed a significant milestone with the announcement that it has delivered its 1,000th turbocharger to two-stage turbocharged applications. 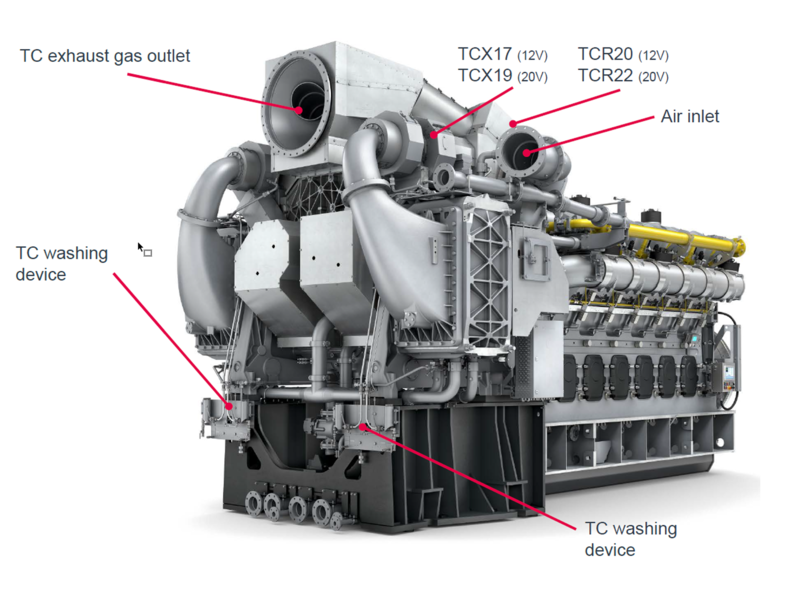 MAN has a long history in two-stage turbocharging and first evaluated the technology back in the 1970s. In late-2000, MAN focused on the technology to improve its four-stroke portfolio, resulting in the development of MAN ECOCHARGE, a combination of low- and high-pressure stages with intercooling that significantly improves engine performance. MAN Diesel & Turbo reports selling the 1,000th turbocharger for two-stage turbocharging during May 2016. “Besides our core company business that covers marine and power applications, we also deliver a large number of our turbochargers to other engine builders throughout the world. Through our OEM business, we have gained a great deal of experience in applications that are atypical for MAN Diesel & Turbo, such as mechanical drives, locomotives or mining”, said Ragnar Olafsson, Head of Sales OEM Applications Turbocharger, MAN Diesel & Turbo. The ECOCHARGE principle optimally combines a low-pressure turbocharger – usually a TCA or TCR – with a high-pressure stage for which the newly developed TCX series was designed. Both the TCA and TCR series are well-proven in the field and can, respectively, boast of 7,000 and 10,000 market references. MAN ECOCHARGE offers major benefits for engine builders. The increase in turbocharging efficiencies, in comparison to single-stage turbochargers, is mainly related to the intercooler – positioned between the low-pressure-stage and high-pressure-stage turbochargers – that significantly reduces the energy required to compress the intake air to high pressure. The resulting, higher efficiencies have an instantaneous impact on the engine by advantageously increasing the air pressure over the cylinder during the scavenging process. Additionally, greater turbocharging efficiency fosters the reduction of NOx emissions through the Miller cycle, while the improved scavenging efficiencies provided by the ECOCHARGE system make the engine more fuel efficient. The higher power-density generated by the ECOCHARGE technology presents the opportunity to choose between significantly boosting an engine’s power output or reducing engine size, all the while maintaining an excellent engine performance. The ECOCHARGE system’s increased efficiencies and higher cylinder rating facilitate the use of a smaller engine with the same power output of a larger unit that employs traditional, single-stage turbocharging. MAN ECOCHARGE has been applied to several new four-stroke engines, like the 12 or 20V32/44 CR TS, and the 12 or 20V35/44G TS types that can also operate on gas.